"Martin Nieuwland & Marco Geilvoet from The Netherlands had an amazing week on Badger's Holt catching consistently throughout the week and ending up with 27 fish including 17 over 18Kg including JoJ...o at 30.6Kg (67lb 5oz). The number of really big fish caught was remarkable. Martin and Marco worked hard the whole week adapting their approach and the spots continuously. 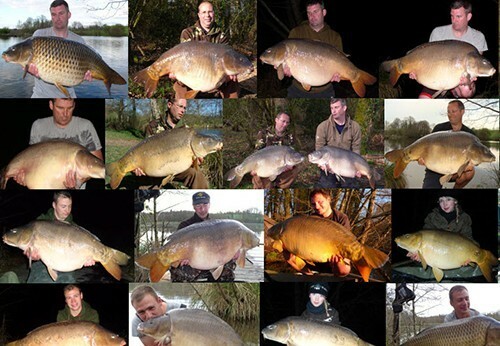 Congratulations guys on two new PBs - Great fishing! On Lac Serreire, John Fuch's group of four anglers from Germany had three PBs as well including mirrors of 20.5kg and 22.8Kg. 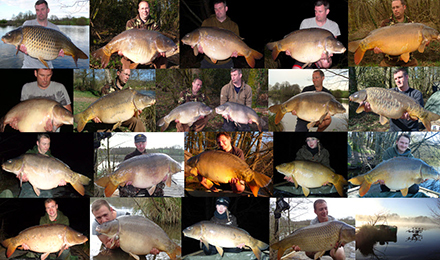 Overall about 20 carp came out and most of the fish were caught in the shallows. The water is rapidly warming up now due to the recent sunny weather and over the last days the fish have been caught often in just 50cm depth of water. Thanks guys for the present for our dog by the way!! We hope to see you again."